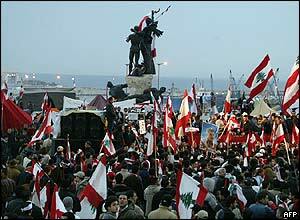 Lebanese pro-opposition demonstrators cheered when Prime Minister Omar Karami announced he and his government were resigning. 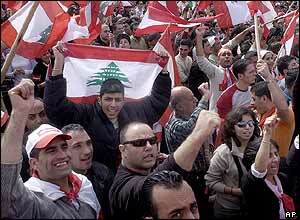 They had descended on downtown Beirut on Monday in their thousands to protest against the government. 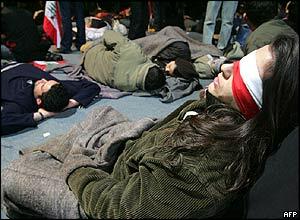 Many had spent the night on Martyrs' Square, before a government ban on rallies came into force at dawn. Many others found ways of joining the demonstration. 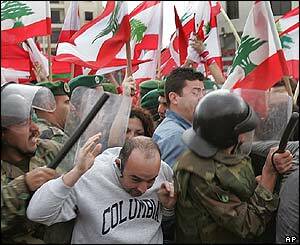 The government is accused of allowing its backer, Syria, to undermine Lebanese sovereignty. 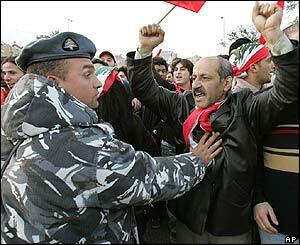 The protesters blame both the Beirut government and Syria for the killing of former Lebanese PM Rafik Hariri. 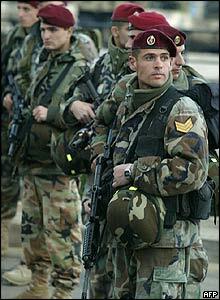 Lebanese commando forces were deployed as demonstrators demanded the withdrawal of Syrian troops. There were minor scuffles but the police did not attempt to break up the protest, despite the ban. 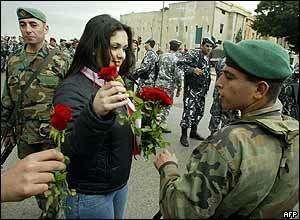 The atmosphere between protesters and troops was said to be good-natured.